For the last two years the Horticulture Department has hosted two incredible interns in our formal internship program. College students and recent graduates from horticulture and other related programs have applied to join our team for a twelve week period and experience what it’s like to work in a public garden setting right here at Brookgreen Gardens. Each summer we are excited to usher in the next wave of horticulturists and share our passion for horticulture with them. In order to get an accurate and encompassing view of what we do, our interns rotate between supervising staff members. Each rotation focuses on a different aspect of horticulture, like annual and perennial plant management, or greenhouse operations and propagation, while also allotting time for daily tasks, like general garden maintenance. Our interns have come from different schools, with different backgrounds, and of course, different interests. Madeline, our first intern in the formalized program, came from East Carolina University as an undeclared major. She was interested in experiencing horticulture while also dabbling in environmental education. 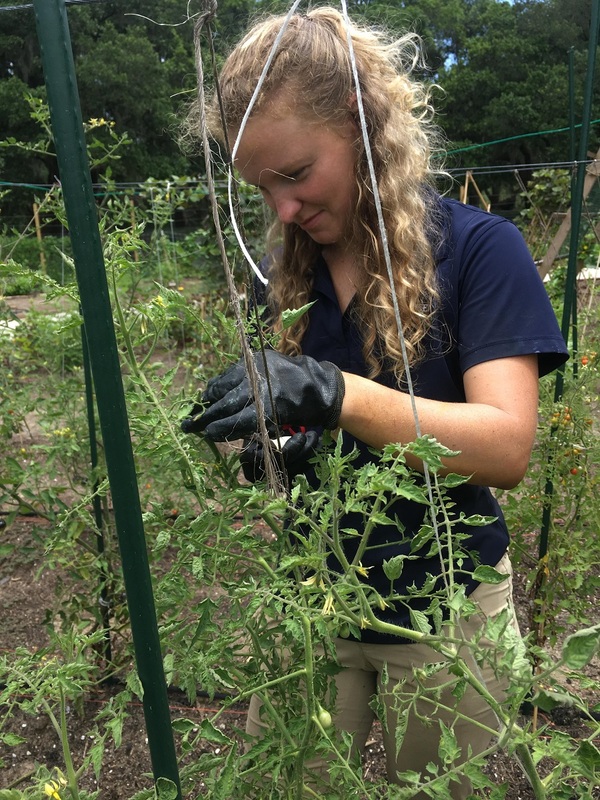 While the bulk of her internship focused on learning about horticulture, we were excited to arrange for her to work with our Education Department and assist with the summer camp program. Madeline also enjoyed working in the Children’s Garden where she played a big role in the construction of the Tillandsia Tunnel. Krysta, our intern from summer 2018, came to us from the University of North Carolina-Wilmington as a recent graduate with a degree in Environmental Conservation. 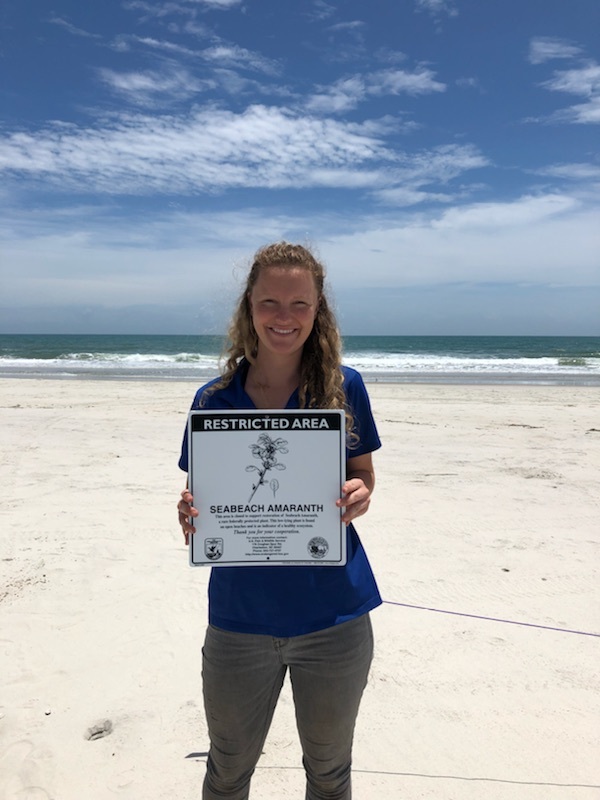 During her rotations, Krysta had the opportunity to put her degree to work and assisted with conservation efforts across the street at Huntington Beach State Park. In fact, she was so enamored with her experience, she wrote a blog about it that you can read here. Krysta was part of an exciting and important project to reintroduce Seabeach Amaranth to the area. One of the aspects of the internship program we are most happy with is our “intern-centric” focus. While we believe it is important to get a well-rounded view of everything public horticulture encompasses, we also believe it is important to allow ample opportunities to hone in on the intern’s specific areas of interest. When we have the chance, we like providing a custom tailored experience our interns will benefit from. Projects that meet interns’ interests are an important part of feeding their passion. While we naturally focus on horticulture and how we handle our duties at Brookgreen Gardens, we like to keep our program well rounded by providing professional development. We want our interns to not only leave the program as competent and comfortable horticulturists, but also as strong candidates for wherever their paths lead them next. Following biweekly progress meetings to check in and provide feedback, professional development meetings tackle important components of the professional process. Each meeting focuses on a new topic, ranging from résumés and cover letters, to job interview tips, and accepting a position. 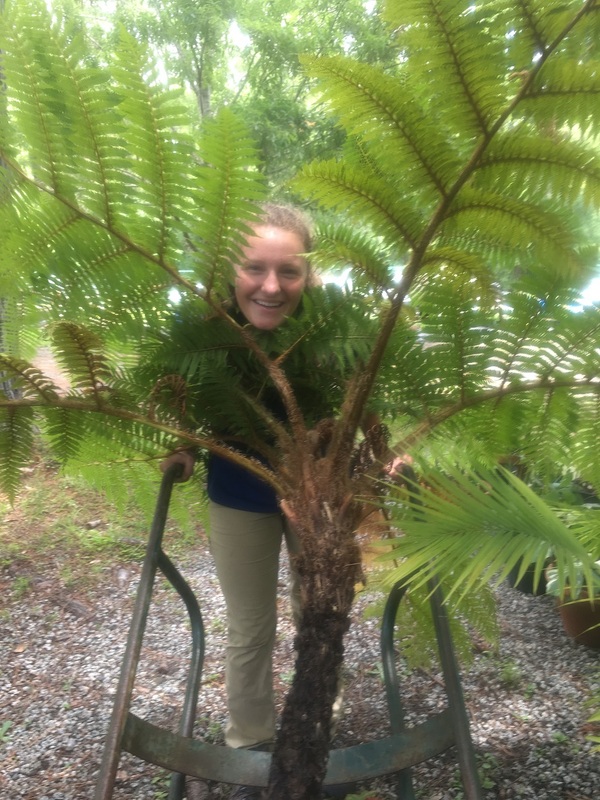 Are you, or do you know someone, who would be interested in becoming an intern with the Horticulture Department here at Brookgreen Gardens? We are accepting applications through March 25, 2019. For more information and to apply, please take a look at our internship description. Still want more information about our program? Use our contact form and choose "Horticulture" as the category, or email me at lcontreras at brookgreen dot org. The email will come to me, and I will be happy to answer your questions and tell you more about our program.